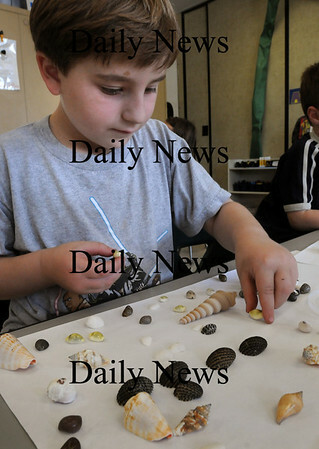 Newburyport: Kindergartner Ross Meinhart, 5, matches seashells in Sherry Herzig's class at the Brown School in Newburyport on Wednesday. The children, learning about the ocean, will be heading to a tidepool at Sandy Point Reservation on Friday for real-life study. Bryan Eaton/Staff Photo Newburyport News Wednesday 23, 2009.